Whether you’re writing a blog post, putting together a presentation, or working on a full-length report, using data in your content marketing strategy is a must. Using data helps enhance your arguments by making your writing more compelling. It gives your readers context. And, it helps provide support for your claims. That said, if you’re not a data scientist yourself, it can be difficult to know where to look for data and how to best present that data, once you’ve got it. To help, we put together the following list of resources. Below you'll find the tools you need to source credible data, and to create some stunning visualizations. Check 'em out below. When looking for data, it’s important to find numbers that not only look good, but are also credible and reliable. The following resources will point you in the direction of some credible sources to get you started, but don’t forget to fact-check everything you come across. Always ask yourself: Is this data original, reliable, current, and comprehensive? Price: Free. A Premium version is available for $49/month. 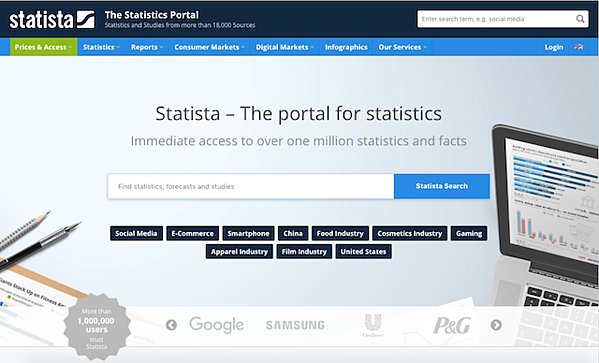 Statista is a portal of statistics, studies, and forecasts focused on market research and opinion polling. Meant for businesses and academics, Statista makes it easy to find reliable market data based on industry, topic, or country. One of the best features of Statista is its easy-to-navigate interface and its automatic visualization features. You can easily download statistics and charts you find to PDF, PNG, or Office file formats, to customize and use them accordingly. 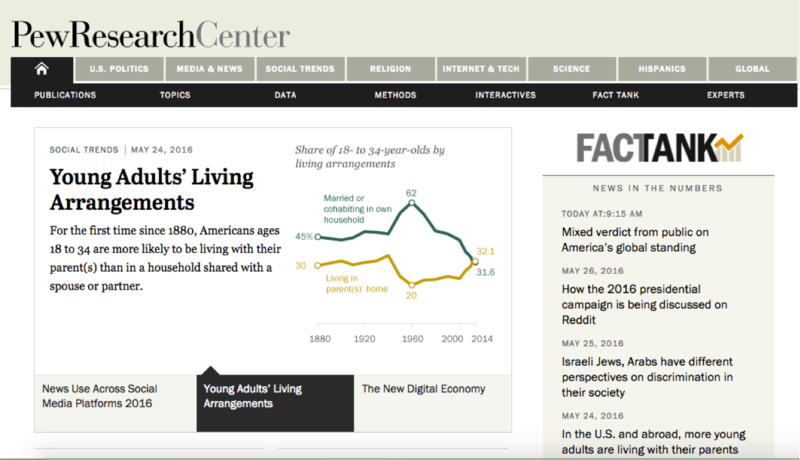 Ever find yourself looking for data about popular topics, online trends, and current events? If you haven’t already discovered it, Google Trends will be your new favorite resource. Google Trends gives you data on what people are searching for, how trends change over time, and how search interest differs by area, region, country, and so on. It’s easy to search for specific trends or simply browse current trending topics. The best part about Google Trends? It’s completely free -- and super easy to navigate. Google is great when you're looking for lots of broad information, but when you’re trying to find specific charts or data points, you might try using Zanran. Zanran is a search engine designed specifically for finding tables, charts, and graphs online. Keep in mind that Zanran works by first examining images found online, not text. In other words, it’ll only pull up information found on actual tables, graphs, and charts. This gets you to raw, original data fast -- but you might find it lacking if you’re looking for short-and-sweet interpreted facts and figures. The Pew Research Center, one of the leading think tanks in the U.S., publishes tons of information and data on public opinion, social issues, and demographics in the U.S. and worldwide. It’s an amazing resource for finding credible data on topics like politics, the media, internet and tech, social trends, and so on. Bookmark this page when you want to search for specific data, but don’t forget to follow them on social media. This is a great way to stay up-to-date on current trends and continually generate content ideas. The real strength of SocialMention lies in its analysis feature. Simply type in any keyword (like your brand name), and SocialMention tells you the strength (likelihood of being discussed), sentiment (ratio of positive to negative mentions), passion (likelihood of repeat mentions), and reach (measure of influence of unique authors) of that keyword. Gathering this kind of data about your brand can be useful internally, or you can use it to find data for social-related content. It's no secret that Google has a lot of insights and information to share. Luckily, Google put together a free tool for marketers to find the latest data surrounding current trends called Think with Google. This is a great tool for browsing, and I highly recommend subscribing to it. Since it’s made specifically with marketers in mind, it does a great job of keeping you up-to-date on the latest information you need to know. Another great resource for free marketing, sales, and business data is our very own HubSpot Research. HubSpot Research is the place where we publish new and original reports, statistics, charts, and thought leadership ideas. If you’re looking for specific stats or charts, it’s easy to browse by category, or use search terms to find the data you’re looking for. And if there are certain topics you want to hear more about, we’ll send you an email when we publish a new report or new data piece about it. Now that you know where to find credible data, it’s time to start thinking about how you’re going to display that data in a way that works for your audience. At its core, data visualization is the process of turning basic facts and figures into a digestible image -- whether it’s a chart, graph, timeline, map, infographic, or other type of visual. While understanding the theory behind data visualization is one thing, you also need the tools and resources to make digital data visualization possible. 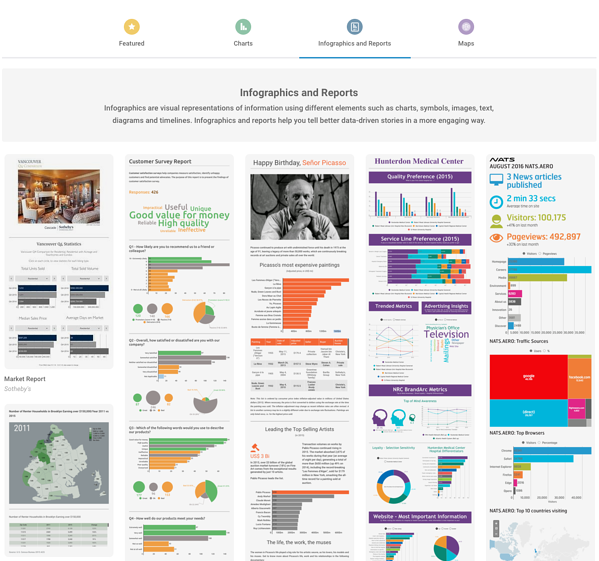 Below, we’ve collected 10 powerful tools for you to browse, bookmark, or download to make designing data visuals even easier for your business. Price: Packages start at $8.25/month per user (as a part of Office Suite Package). Chances are, you might already have access to Excel at home or work through the Microsoft Office suite. 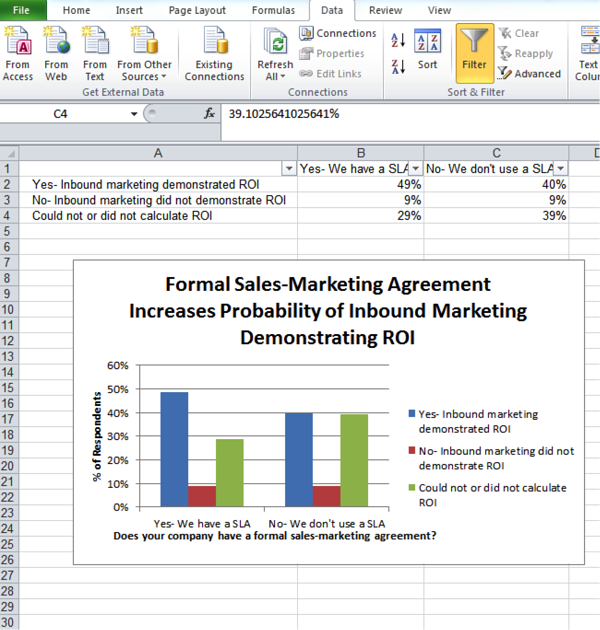 Microsoft Excel is a classic tool used to both analyze and visualize data. 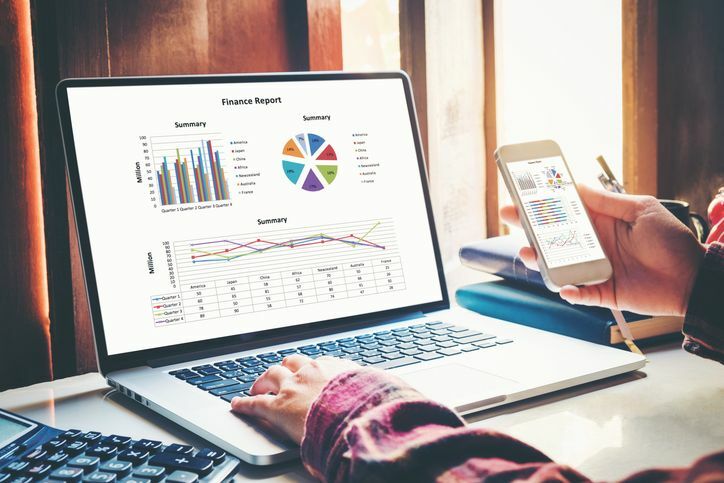 Whether you’re doing the analyzing yourself, or just trying to repurpose data into a visual content, Excel is an insanely powerful tool that you can use to create all kinds of graphs, charts, and tables. Excel can seem like a bit of a beast to figure out at first, so if you’re interested in learning to use Excel, check out these resources here. Price: Free for Basic. Paid packages fall into three categories: Pro $19/month, Business $67/month, and Team $119/month. Infographics are a great way to interpret your data by turning it into something that tells a visual, memorable story. If you have little to no design experience, Infogr.am is a great tool for you. It offers different infographic templates and tools for customizing your infographic. You can use charts, graphs, maps, images, and icons to really spice up your data and make it visually appealing. Price: Pricing models start at $19.99/month for a single app. If you’re more experienced with data visualization or design, using Adobe products can be a great way to create more elaborate, creative data visualizations. Both Photoshop and Illustrator allow you to create charts and graphs, and they’re both great tools if you want to create longer form infographics. Price: Subscriptions are offered at two price points: $35 per user per month (Personal) & $70 per user per month (Professional). If you’re looking for some really sophisticated data visualization capabilities, Tableau is the king of data visualization software. 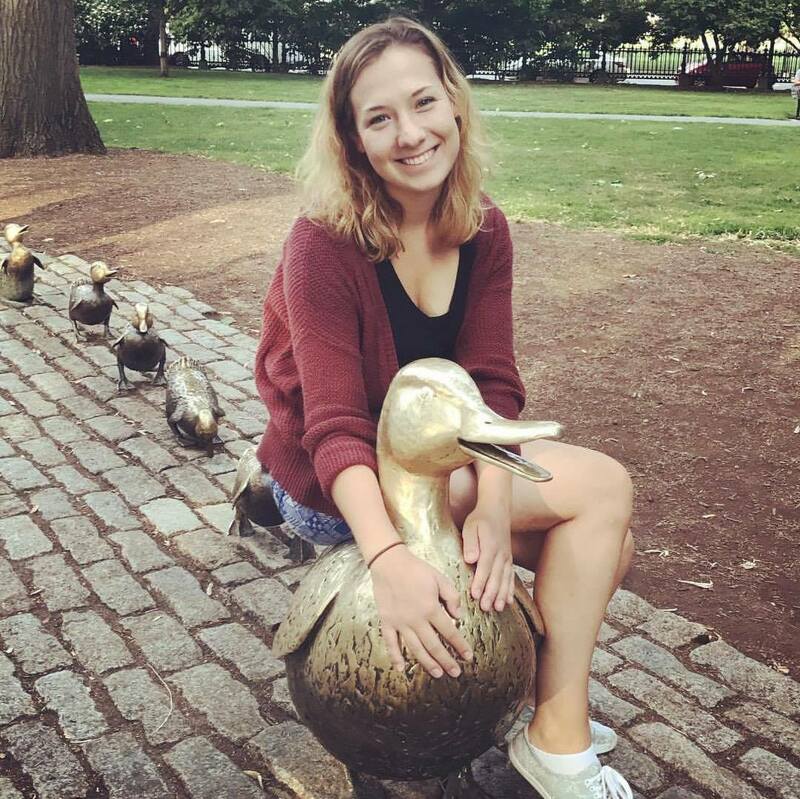 By connecting with other data tools like Excel, Tableau makes transforming your raw data into stunning visuals really easy. Note: Tableau is not the kind of software you would use for designing visuals every now and then. It’s a powerful, expensive tool meant for organizations that are working with lots of raw, big data all the time. Still, if you’re looking for a step up from Excel’s visualization capabilities, Tableau is definitely a tool you should check out. 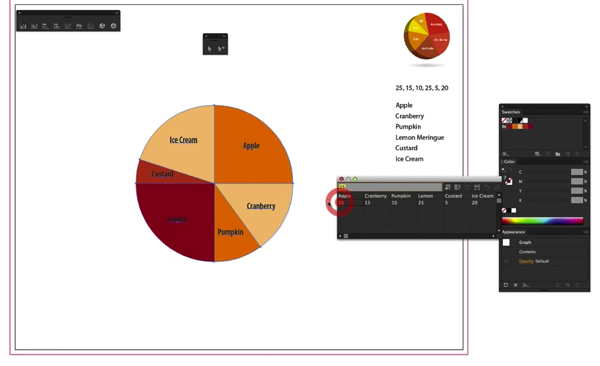 Price: Free for up to 3 users to visualize data from up to 3 sources. $59/mo for visualizing data from 10 sources and $299/mo for up to 50 data sources. Discounts available for marketing agencies. If you're trying to visualize your marketing performance data for presentations or reports to share with your boss, clients or peers, Databox provides standardized report templates for 50+ popular marketing software products including Google Analytics, HubSpot, Adwords and Facebook ads. If you want to customize the reports, you can do that by using their report designer. If you're a bit more technical, you can use their query builder to filter data or you can connect to a SQL database if your data is stored there. You can allow others to view and access your up-to-date data from many devices including a computer, via the Databox mobile app, a TV or even an Apple Watch. Price: One-time fees range from $199 (Website) to $9,999 (Enterprise). 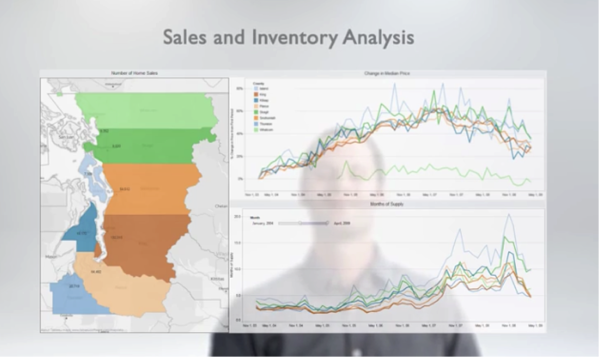 Ever wanted to create animated graphics and charts, but weren’t really sure where to start? ZingChart might be the tool for you. The best part about ZingChart is its flexible and adaptable capabilities. All of its charts have responsive design, ensuring that your charts will look great on any screen. One type of data visual that often gets overlooked: timelines. They're a great way to display your data by looking at changes or events over time. While you could design a timeline on various graphic design platforms such as Illustrator, this free tool makes it easy to create slideshow-based timelines to embed on your website or blog. If you’re looking for a tool like ZingChart that lets you embed graphs and charts onto a web page, check out Google Charts. 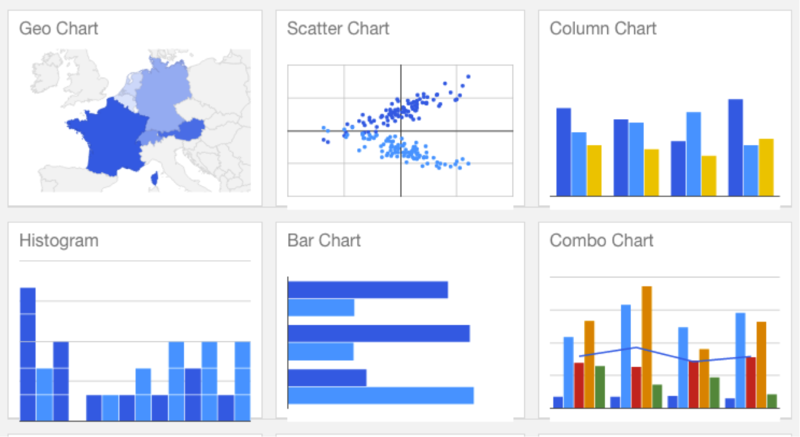 Google Charts is an API tool that lets you create custom charts for embedding. These charts can be animated, but they have a similar look and feel to the .png charts you can create on Google Sheets (Google's version of Excel). If you like the look and feel of Google’s charts, but really just need to create graphics for a .jpeg or .png file (to upload or embed in a document), you can also use Google Sheets to create graphs and charts much like you would use Excel. Price: Free lifetime account. Paid options are offered at two levels: Lite $15/month & Pro $29/month. 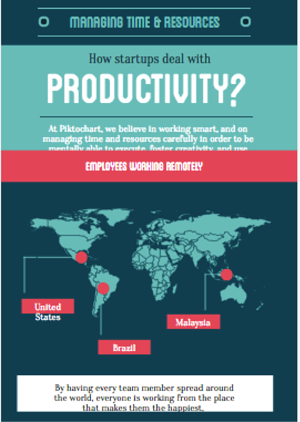 A similar tool to Infogr.am, Piktochart makes it easy for you to create and customize infographics within its templates. This tool is meant for users with little design experience who want to create awesome infographics. Note: If you’re going to be using one of these two tools often, try using them in combination with one another. That will give you access to more templates, which you can use to vary your content. If you're a marketer or small business owner and haven't seen Google Flu Trends , go check it out now. It's cool.